Update (March 14, 2019): Time keeps a-chugging along, thankfully. I look forward to retirement on April 30th, and to spending my time out n’ about, photographing, as well as working on my new-found hobby of junk journals. My sister-in-law got me started on the journals last year and I’ve been hooked ever since. The variety of crafting is just endless, with each journal having its own unique theme and style. I’ve been researching and collecting vintage photos, and learning how to dye paper, press flowers, transfer flowers onto paper, create fabric from scraps of thread, you name it. It’s a multi-faceted hobby if ever there was one. You may notice I added a Hastings Cottage Designs page to this website as it was becoming too time-consuming and costly to maintain separate websites. I’m updating the page as I have time. Kat married her sweetie-pie, Cameron, in May of 2017. It was a beautiful wedding, set in the mountains of Julian, California. Kat and I still continue to share adventures, but not nearly so often as in year’s past. Understandable! To read the story of SueBee and Kat, please continue below. About SueBee and Kat (launched September 1, 2013): Southern California is like a goldmine to us! It’s the entire world represented within one time zone, in an area reached within a half day drive most any direction. Surrounded by world-class museums, music and cultural activities, restaurants of every ethnicity, geography that encompasses beach, mountains and desert, anyone would be hard-pressed to sit home doing nothing. Therefore, we’re nearly always on the go, taking pictures along the way, sharing our adventures with you! From gardens to the beach, architecture to the streets. Downtown, Uptown, All Around Town! 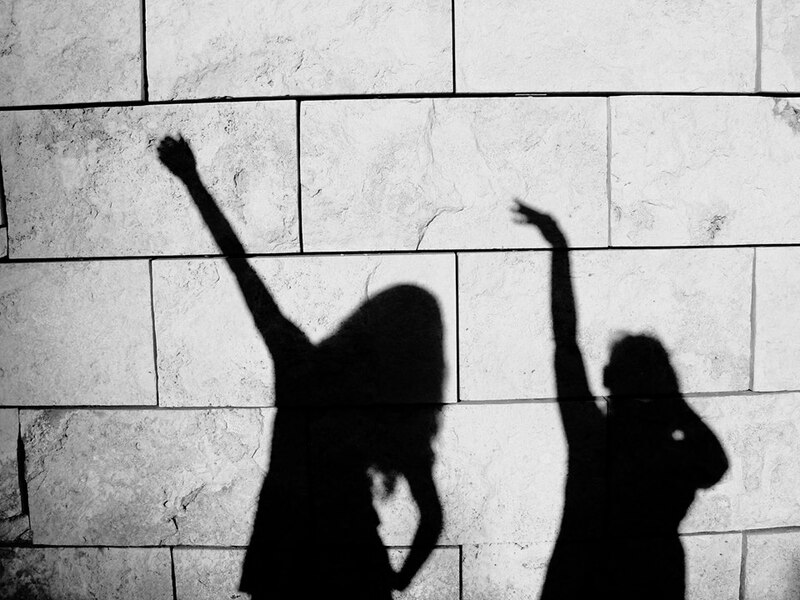 By the way, that’s our shadows projected on a travertine wall at the Getty Museum; Kat on the left, SueBee on the right. We hope you follow our blog and join us in our adventures! If you have any questions or comments, please feel free to email us at suebee.and.kat@gmail.com. SueBee: A native of Los Angeles, California, I describe myself as having Attention Deficit of the Creative Mind. My curiosity tends to have me jumping from one interest, intrigue, or project to the next without rhyme or reason. I’m the mom of three awesome adult kids, the youngest being Kat, who’s 29. Kat: Music, food, dance, photography, museums, the great outdoors…just a few of many “all over the place” interests I have. Always looking for new experiences, places to explore, and foods to eat. Randomness + creativity = awesomeness… a one track mind I will never have! Thanks so much for following Oh, the Places We See. Sure do wish we could get to Southern California to soak up the culture and those sunny vibes. But, we’re happy to see it through your eyes as the next best thing. Wishing you all the best. You’re welcome. I’ll enjoy seeing your travels!! We have a lot in common — a little bit old, but still feeling young. Love of writing. Love of family. Love of life. I like the idea of changing up your blog. Looking forward to more posts from SueBee! Thanks so much for the feedback. The transition period isn’t easy, finding new focus, not being scattered brained!! And, getting the time to rework it all. Best wishes! We started in September 2013 as well ! So I feel a fellowship here. Hi Ladies, thank you for following my blog. I appreciate you taking the time to look 🙂 I love the vivid colours in your photos, and I think, it’s reflective of your personalities. Pleasure to meet you. This looks like a fun place to be. Thank you, Stefano, I will check it out! HI Sue and Kat.. Thank you so much for your visit on my blog. Your blog is vibrant and lovely, travelling makes it even more beautiful. I am glad that we share the same passion and thirst for travel. Happy to be following you to read your travel tales. Thanks so much for visiting our blog, too, Aanchal! Uhhhh… California. One of my dream destinations. I know I will love reading and going through your blog for some great ideas and destinations when I get there someday in the future! Giys, I’m hooked! I love Cali, especialky the SF area, and you two sound like a lot of fun so I will willingly join you on your adventures. Cool blog, the two of you have! I love that mom and daughter create and share together. As a mom, it makes my heart sing. You’re welcome and lovely blog. Nicely formatted theme. Colorful but easy on the eyes. Gets your attention. I received my first award during my first month of blogging. It is an amazing feeling isn’t it? Nice to see your adventures with beautiful photos here. Thank you as well, for the compliment and stopping by SueBee and Kat!! Appreciate your comment on my blog. Like you shadow photographs, nice idea.